Jeremy Loveday will be teaching a class on speaking from your heart and your truth. Jeremy is a spoken word poet; that happens to be a Victoria city councellor. He shares techniques on ways to speak up even when it is difficult! Come join in this safe supportive environment; you will be guided through exercises that will give you a chance to try spoken word. Elected in 2014, Jeremy is passionate about making Victoria more affordable, sustainable, and vibrant. 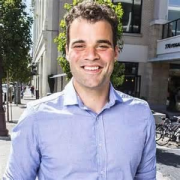 He is drawn to local politics because of the concrete nature of the decisions that need to be made and a deep love for the City of Victoria. So far, he has found each day as a Councilor challenging and rewarding. He is driven by the belief that Victoria can be one of the greatest small cities in the world and that our residents have the ideas, drive, crea-tivity, and passion to make it happen. Jeremy is perhaps most well known for using his award winning spoken word poetry to speak out about important issues. In 2014, he made headlines around the world when one of his videos advocating against gender violence went viral online. He is the Founder and Director of Victorious Voices Youth Arts Festival and was the champion of the City of Victoria’s Youth Poet Laureate Program; the first of its kind in Canada. Jeremy is action oriented and leads collaboratively. You can often find him riding his bicycle, working with youth, or meeting with residents in local coffee shops. Jeremy grew up in James Bay, currently resides in Fernwood. This event will take place from 10:30am – 12:00 noon at 125 Skinner Street. Come pick up some cooking tips from Liam the chef of Salt and Pepper Fox. Healthy meals are so important to our mental health and our lifestyle. It can be tricky to shop on a budget and create good nourishing meals for yourself and friends. Liam has brought together a simple menu that keeps costs low but has great nutritional value. We will have some fun cooking together and then follow it up with a meal together so we can have time to hang out together. Here is some information on Liam Quinn and Salt and Pepper Fox: He loves what he does!!! 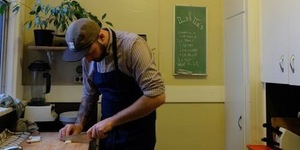 The Salt & Pepper Fox represents my passion for crafting local, memorable dishes for Victoria. With over 15 years experience, in some of the best kitchens in North America, I knew it was time to launch my own culinary business. My network of friends and colleagues who make a living providing fresh, local ingredients allow me to source the best from our community. 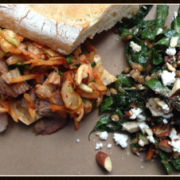 Every lunch order is handmade and delivered to you. We are sending out our heartfelt thanks to our community partners, sponsors, and staff who helped organize and execute our Brent Seal speaking event on October 8, 2015. We would also like to send a special thank you to Alex Preston and Caity Gossland the Cyclistas who rode across Canada to raise awareness and funds for Mental Illness, and whose generous donation made it possible to put on this event. More than 150 people attended the sold-out event, and we have received many wonderful comments and thank-you notes from attendees and others who are invested in mental illness awareness and recovery. Do difficult conversations often end up as arguments? Do you have trouble getting your point across? Would you like to improve your personal relationships? Do you find it hard to obtain the services you need? Is it challenging to deal with government representatives? Would you like to learn options for dealing with everyday conflicts? Does the art of assertiveness escape you? This seven-session course is presented by Island Community Mental Health in partnership with Communica Dialogue and Resolution Services. For more information or to register contact Dawn Twin at dawn.twin@icmha.ca or 250-389-1211. Victoria, B.C. 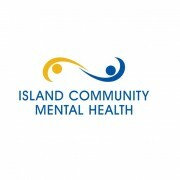 – In recognition of national Mental Illness Awareness Week, Island Community Mental Health (ICMH) is bringing inspirational speaker Brent Seal to speak about his experience as a young adult diagnosed with a serious mental illness and his journey to recovery. “To me, these days it’s about letting people know that mental illness is no longer a life sentence,” says Brent. 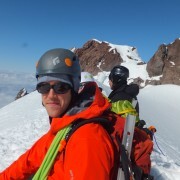 His inspirational story: From Mental Illness to Mental Wellness emphasizes the importance of wellness and adventure as key to helping young people dealing with mental illness to lead great lives. 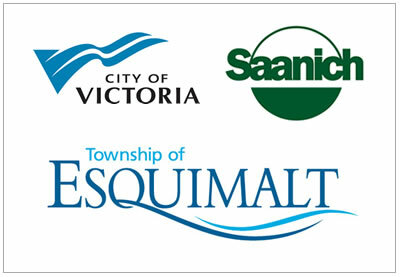 Brent will be speaking at the Young Auditorium at Camosun College’s Lansdowne Campus 3100 Foul Bay Rd on Thursday, October 8 from 6:30 to 8:30 PM. The event is free and tickets are available through Eventbrite: search Brent Seal. “Reaching out through public education and awareness activities is a big part of the Young Adult Engagement Strategy we launched in April,” said ICMH Executive Director Kim Duffus. “The message Brent brings speaks to the importance of support from professionals, family and friends in meeting the challenges of mental illness. This is what ICMH and our other community partners are all about.” This event is proudly supported by Camosun College and UVic Student Mental Health Initiative. Mental Illness Awareness Week runs from October 4-10 and focuses attention on mental disorders: signs and symptoms, how to get help, stigma, hope and recovery, and the impact of mental illness on lives, families, workplaces and society. “One-in-five Canadians experience a form of mental illness in their lives,” said ICMH Board President Darrion Campbell. “A recent survey of the community indicated that Victorians believe mental illness is the third most important issue affecting the health of the community.” Campbell says that ICMH operates on the principle that each person who experiences mental illness has the capacity to move forward, to learn and to grow. “I hope Victorians will take the opportunity to join us for this exciting event and that they will do more to learn about the importance that community plays in supporting individuals with mental illness and the many services and resources available,” said Duffus. 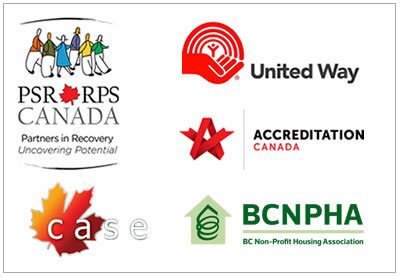 ICMH provides psychosocial rehabilitation and housing services to more than 1,000 adults in Greater Victoria each year and has been a core support for those dealing with serious mental illness for 60 years.